So I mentioned in this post that the whole not being allowed to eat deli meat aka turkey sandwiches for 9 months is a bit of a drag (read: a total freaking drag when not a lot sounds delicious to eat except a simple turkey sandwich). So I found a way around it and showed you how to make some homemade oven rosated turkey at home, which can be put to use in this easy yummy simple turkey sammy. Assemble just like any normal capable adult (or even child) could do, cut in half if that's your thing, and enjoy with a side of pickles (optional but I'm pregnant so hey). 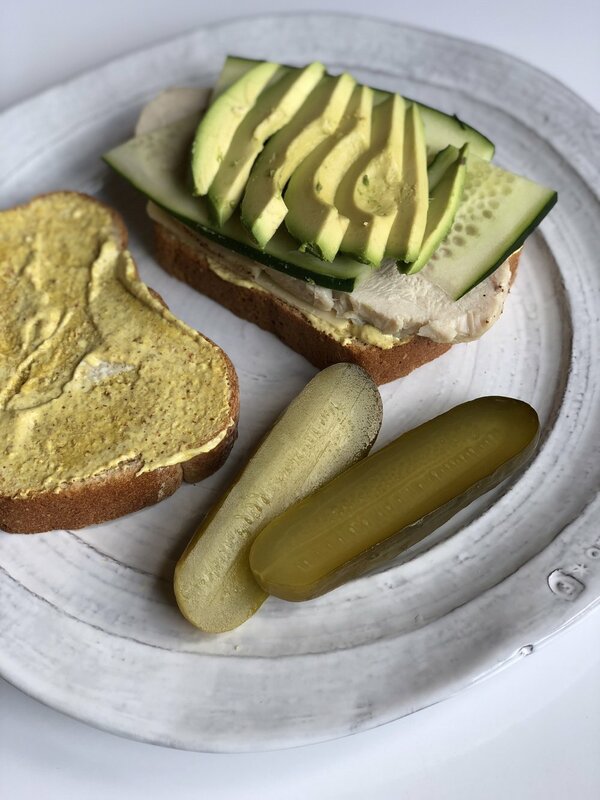 To get more details on all of the ingredients in these yummy sandwiches and the kitchen tools/serving pieces featured, head to my LikeToKnow.It Page or shop directly below!